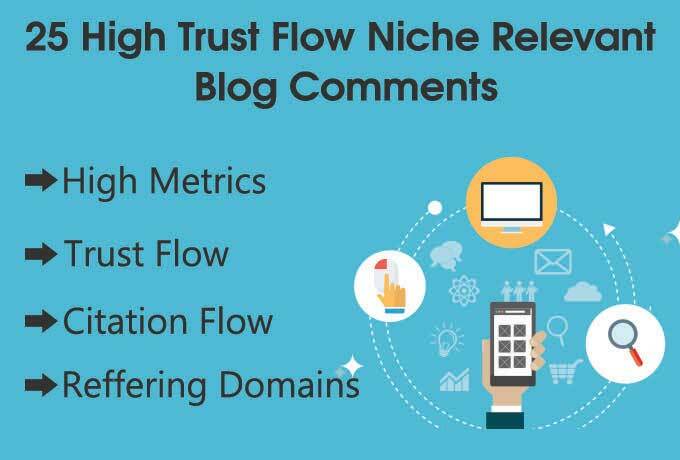 High Metrics, Trust Flow, Citation Flow, Reffering Domains ! High Metrics Niche Relevant Blog Comments is the most latest and advanced service i am providing to our royal customers! This is the best option to get the best out of promotional activities for your business! The High Metrics Niche Relevant Blog Comments is far more effective. It’s going to put a mass traffic for your site which will result in a large number of visitors. It will definitely bring your site to your desired positions in the popular search engines. Offer 25 high da, tf Niche relevant Blog comments backlinks + Guaranteed Serp in 30 Days is ranked 5 out of 5. Based on 108 user reviews.